2012 Wabash Prize for Fiction results! Both of these stories will appear in the Summer/Fall issue of Sycamore Review, which you can pre-order today by visiting our online store. Congratulations to the winners and the contest finalists picked by this year’s discerning judge. You can check out Cate and Colin’s fantastic stories in Issue 24.2, due out in July. Thank you to all who submitted to the contest. As in previous years, we received many excellent submissions, and our editorial staff has continued to enjoy seeing the work of so many talented artists. We also hope you’ll consider submitting your work to the 2012 Wabash Prize for Nonfiction which will be judged by Mary Karr (deadline: October 1) and the 2012 Wabash Prize for Poetry judged by Nikky Finney (deadline: November 1). 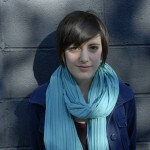 Cate Fricke received her MFA in Fiction from Ohio State University in 2011. “Fox and Girl: a Bestial Romance” is her first published story. She is also the author of the blog Something to Read for the Train, where she writes about fairy tale adaptations and children’s literature. She lives in Poughkeepsie, NY. Colin Winnette is the author of five books: a novel, Revelation (Mutable Sound 2011), a book of short prose, Animal Collection (Spork Press 2012), two novellas Gainesville and In One Story, The Two Sisters (both forthcoming Atticus Books 2013) and a book of poems, Kate Jury Denton Texas (written in collaboration with Ben Clark). He was a finalist for the 1913 Press First Book Award, judged by Fanny Howe. He lives in Chicago.